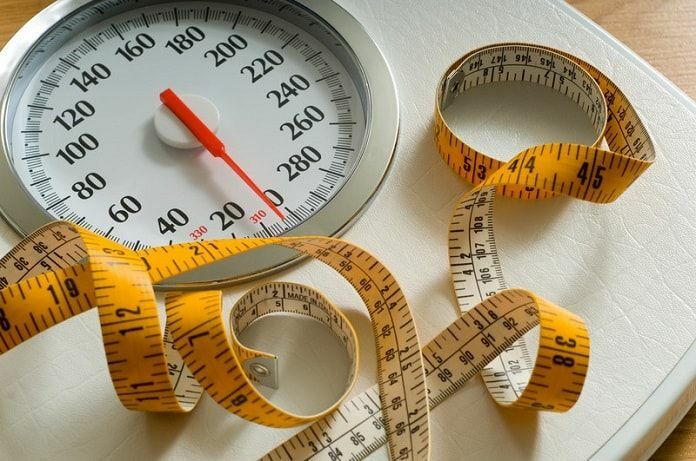 A 5-year clinical study on 150 type 2 diabetic patients with body index 27-43 (BMI over 25 is considered an overweight) suggests that weight loss surgical intervention helps more than medication for type 2 diabetics. Bariatric surgery is weight loss surgery for people with obesity. Weight loss is achieved by reducing the size of stomach with a gastric band or by gastric bypass surgery, in which stomach is divided and two portions and the small intestine is rerouted. The study population included 150 obese patients who had type 2 diabetes. They were enrolled in the study based on the following criteria: age of 20 to 60 years, a glycated hemoglobin level of 7 or more and a body-mass index (BMI; the weight in kilograms divided by the square of the height in meters) of 27 to 43. After receiving information about the study, all the patients voluntarily signed informed consent. Patients were randomly assigned to three groups: intensive medical treatment alone, intensive medical treatment with gastric bypass or sleeve gastrectomy. The initial analysis, conducted 3 years after randomization of patients to medical therapy or surgical intervention, demonstrated favorable results in terms of glycemic control for patients who underwent bariatric surgical therapy as compared to patients who received medical therapy only. Both gastric bypass and sleeve gastrectomy were effective in achieving glycemic control (evaluated by glycated hemoglobin level of 6% or less), reducing cardiovascular risk and improving patients’ quality of life. A recent article published in New England Journal of Medicine provides a 5-years follow-up analysis for the same study population, addressing long-term efficacy and safety of bariatric therapy for type 2 diabetes. Overall, 134 of the 150 patients (89%) were included in the 5-year analysis. At baseline, the mean age was 49 +/- 8, mean BMI was 37+/-3.5; the mean glycated hemoglobin level was 9.2 +/-1.5%, and the mean duration of diabetes was 8.4+/-5.2 years, with 44% of patients requiring insulin at baseline. The authors report encouraging results 5 years after surgical intervention, showing that 14 of 49 patients (29%) in the gastric-bypass group (P = 0.01) and 11 of 47 patients (23%) in the sleeve-gastrectomy group (P = 0.03) had achieved glycated hemoglobin level of 6.0% or less, as compared to only 2 of 38 patients (5%) in the medical-therapy group (P = 0.01). In addition, surgical groups showed a significant reduction in weight (−23%, −19%, and −5% in the gastric-bypass, sleeve gastrectomy, and medical-therapy groups, respectively), triglyceride level (−40%, −29%, and −8%), high-density lipoprotein cholesterol level (32%, 30%, and 7%), use of insulin (−35%, −34%, and −13%), and quality-of-life measures (general health score increases of 17, 16, and 0.3). No significant differences in blood pressure or low-density lipoprotein cholesterol levels were observed among the three study groups. Taken together, this study indicates promising outcomes for patients undergoing bariatric surgery, in terms of glycemic control, weight loss, use of fewer diabetic medication, including insulin, and improvement in overall quality of life as compared with obese type 2 diabetics who received medication therapy alone.